Within the human resources profession, managers are placed in a unique position in that they serve as a bridge between the organization they work for and its employees. In order to be successful, HR managers and reps must be excellent communicators. Not only must they know how to speak well, but they must know how to listen well. If an HR manager invests time into understanding their employees, their employees will do their best to under their manager. This leads to a more productive and motivated workforce. Not only should an HR manager listen to the words that their employee is speaking, but they should also concentrate on the nonverbal cues the speaker is putting forth, like intonation, pace, flow, and volume. Facial expressions and body language are also quite informative. A listener will be surprised at the information these nonverbal cues reveal. A cellphone, tablet, or laptop are all classified as distractions when a person is trying to engage in a conversation. What a manager might view as effective use of their time or multitasking by glancing at their emails during a conversation is going to be viewed as a consternation by the speaker. Not only will the listener potentially miss out on receiving important messages, but the speaker is going to feel devalued as an individual. A speaker might indirectly say something that the listener believes is important. It may very well be important, but it is important for an HR manager to concentrate on the main message the speaker is trying to deliver. Jumping to express one’s viewpoint will only serve to increase the speaker’s defensive. The speaker should be provided with ample room to express themselves. 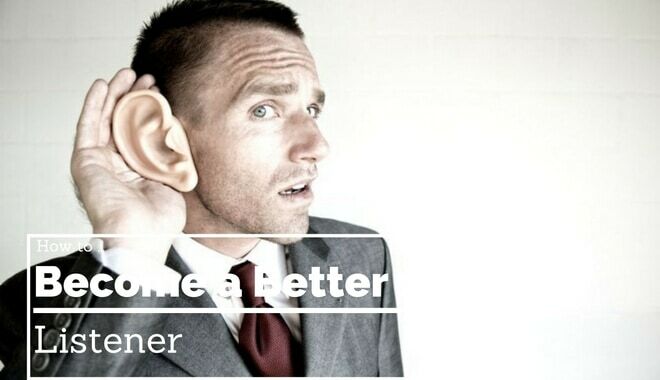 Active listening should be used to address the speaker’s concerns. Once the speaker’s concerns have been thoroughly addressed, then the tangent may be discussed. Yes, there will be people who roll their eyes; however, if an HR manager is feeling confused about what their employee is trying to say, they should ask what questions are necessary to clarify the concept. There is also another type of misunderstanding: selective hearing. When it takes a speaker a while to get to the main point of their message, it can be easy to become distracted by thinking of other things, which leads to hearing only portions of what the speaker has said. This is how misunderstandings multiply. This is, arguably, one of the best things a person can do to be an effective listener. Multiple studies have shown that managers and supervisors who respond too quickly to statements made during discussions and meetings routinely miss the gist of what their employees are trying to say. Before jumping in to the conversation, an HR manager should provide their employee with an extra moment or two to make sure that they have completed their thoughts. In addition to these tips, at the end a discussion, an excellent listener will repeat the key points of the conversation back to the person they are talking to in order to ensure that they’ve heard the speaker correctly and to reinforce the message to themselves. This is a point that is often missed by managers because they are anxious or stressed and eager for the meeting to be over. Clarification will save an HR manager a considerable amount of time and frustration.